Hotel Management includes a whole lot of work areas right from Hotel industry to Travel and tourism industry. But generally speaking, hotel management caters to the hotel industry. To get into hotel management graduation course right after class 12th, you could either write NCHMCT JEE or look for other certificate courses. One should make preparations to attend counselling after checking NCHMCT result. After conducting the national level NCHMCT Entrance Examination, the board will release a separate notification for counselling. Those candidates whose names appear in NCHMCT counselling result, you will get admission in Hospitality and Hotel management graduation courses in any one college from the options exercised. Only eligible candidates who make it to the NCHMCT Merit List are eligible to participate in counselling. So candidates must prepare very seriously to get a good score. 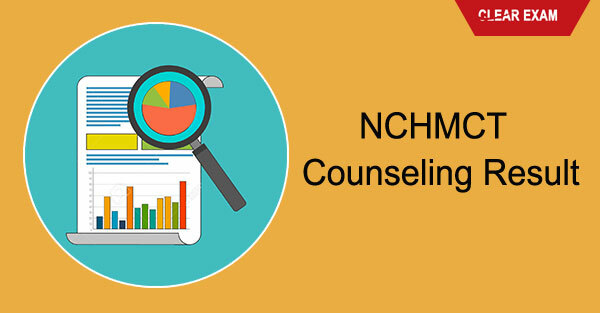 Aspirants need to register for online counselling by visiting nchm.gov.in. None of the candidates will be allowed to participate in the 1st and 2nd rounds of counselling without online registration. After completing the registration, you have to follow the instructions given by us to see your name in NCHMCT counselling result. NCHMCT JEE seat allotment will not be done without exercising the options. After validating all the preferences given by participating candidates, the board will declare seat allotment result. Candidates seeking admission in hotel management colleges have to check the allotment of seats through online mode by using login account details. Aspirants are expected to pay the online fees before the last date to confirm their admission. Eligible students will have to register online for counselling through NCHMCT portal. The dates for counselling dates for filling up course and institute choices online will be updated once when the final decision is made. Type the required details and generate login credentials like user ID and password. You need to indicate their choice of courses and institutes from the available list in order of their preference. One candidate can choose as many courses as they like. You will be allowed to edit or change options only till the last date, after that your options will get locked. No need to if your name is no there in Ihmpusa results, you can give one more try through the second phase of counselling. NCHMCT seat Allocation is done strictly on the basis of national wide rank and category rank obtained by the candidates and their preferences as indicated during the online counselling process. Don’t compromise on the number of choices if you wish to see your registration number and name in NCHMCT counselling result.